On March 22, 2017 the Brazilian government fined JBS, the largest meat producer in the world, for more than 24 million Reals — over $7 million US dollars — for buying cattle from illegally deforested areas in the Amazon. 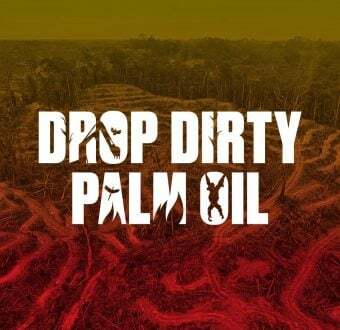 Consequently, Greenpeace has decided to immediately suspend existing negotiations with the company based on the Cattle Agreement signed in 2009, which required meatpackers to scrutinize sourcing and monitor farms for social, environmental and labor practices. 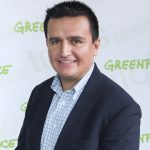 “Greenpeace considers the accusations against JBS to be extremely serious, and therefore we are suspending negotiations with the company until it can prove that the meat is free of deforestation, slave labor and conflicts with indigenous lands or protected areas,” said Tica Minami, Amazon Director of Greenpeace Brazil. As a result of operation “Cold Meat” (Carne fria), made public just a week after an international scandal exposing corruption and breaches in sanitary control of Brazilian meat exports, the country’s environmental agency, IBAMA embargoed two JBS’ plants in Redenção and Santana do Araguaia, in Pará State. The purchase of cattle from illegally deforested areas is an environmental crime and this recent government finding indicates a breach in the Plea Agreement (Termo de Ajuste de Conduta – TAC, in Portuguese) signed in 2009 between the Federal Public Ministry (MPF) and 69 companies, including JBS. JBS is also a signatory in the voluntary Zero Deforestation Amazon Cattle Agreement, in which it has committed to exclude source farms involved in any deforestation, slave labor, or invasions of indigenous lands and protected areas. The illegal practices exposed by IBAMA are a blatant violation of the terms of that commitment. Greenpeace will continue its dialogue with Minerva and Marfrig, the other signatories of the agreement.